Does your Bunny get lonely when you go out? 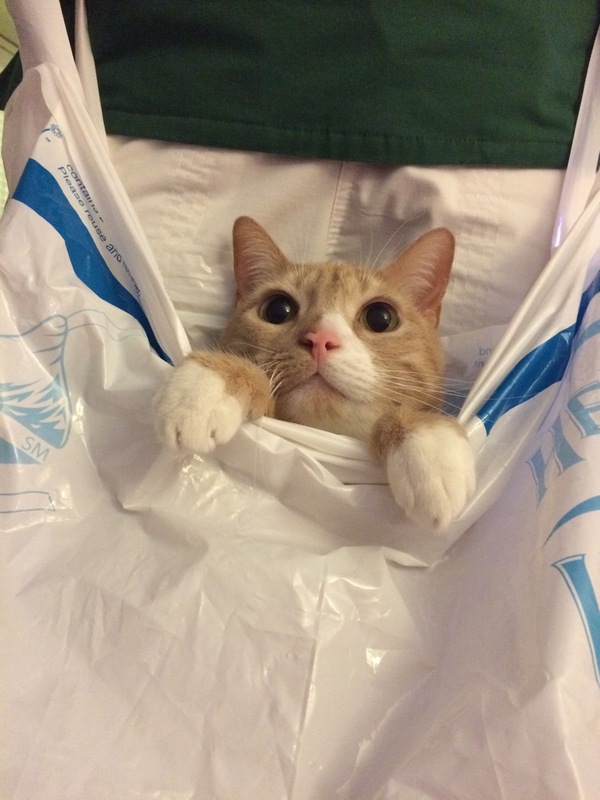 Well, why not bring him with you when you go shopping! Reader Squee: Bag Full of Happy! BlackJill says: "This is my diluted Calico, Penelope. I found her on the web and we adopted her the next day. Whenever we have company and they put down their bags, she'll crawl into them and make herself comfortable." That is a very cute habit, but let's hope none of your guests accidentally bring home a stowaway curious kitty in their bags. Is Black Friday Over Yet?